This question popped up on Stack Overflow. For the benefit of future Bing-ers, I thought I’d share the answer here too. 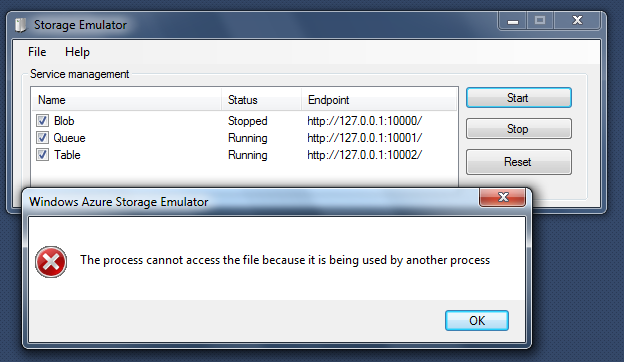 In my experience, the error message in the title is generally the result of a port already being in use. Check which of the storage services (blobs, tables, or queues) is failing to start, and see if anything on your computer is consuming that port. The most common case is blob storage not starting because BitTorrent is using port 10000.